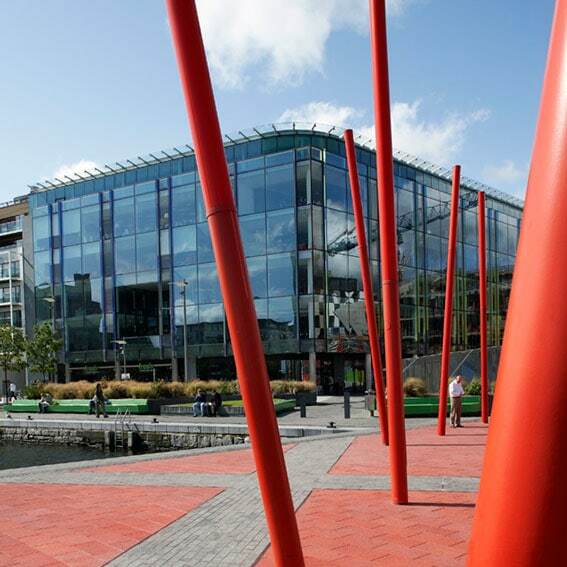 A 6,000sqm cutting edge workplace environment for the HSBC Group at Grand Canal Square in Dublin’s Docklands. The workplace designed by LOM architecture and design, FDP’s sister company, provides workspace and client facilities, set around a dramatic central atrium space. 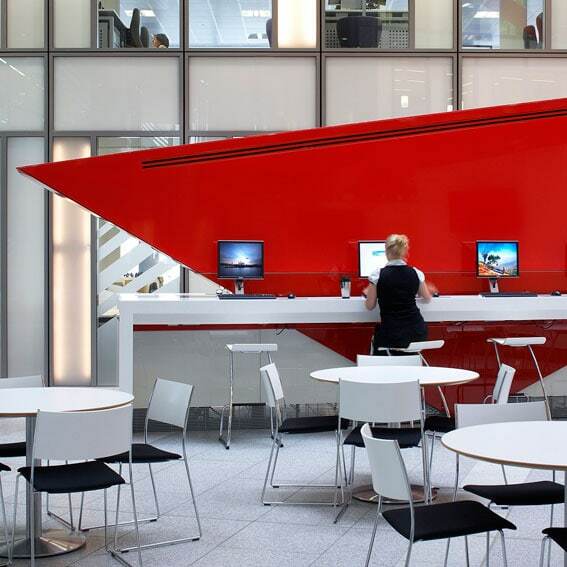 This features suspended angular sails in red tensile fabric, which come together to create an internet bar, informal meeting spaces, and a 100 seat café. 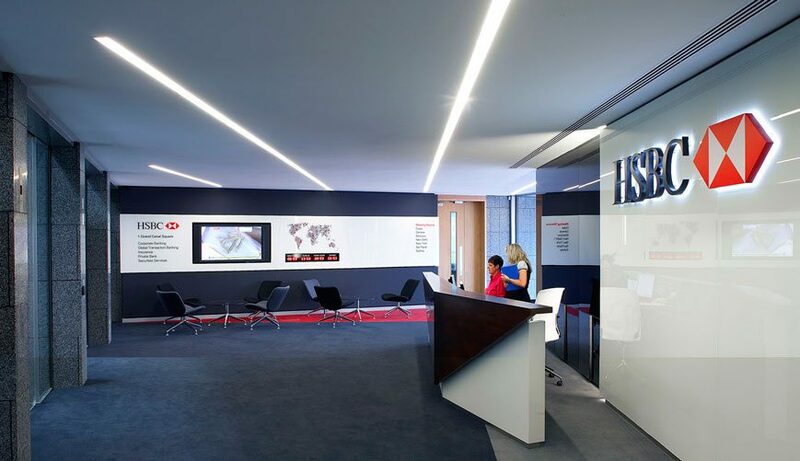 A distinctive angular design language continues throughout the building into reception, breakout and meeting spaces. 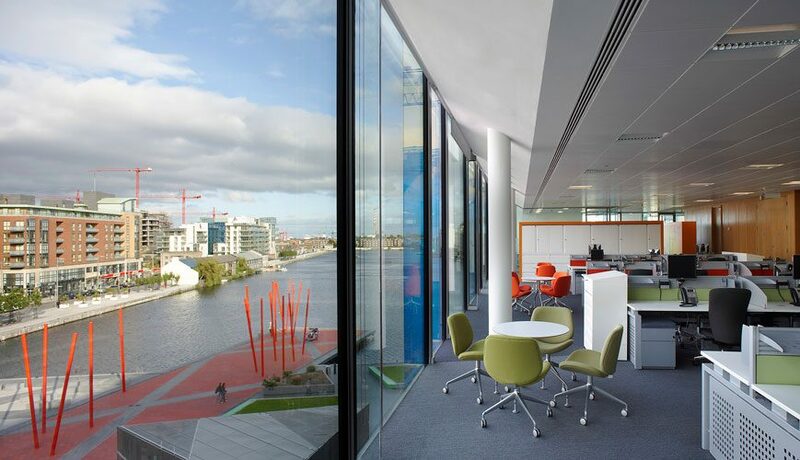 The workplace environment uses a palette of secondary colours to characterise each zone. 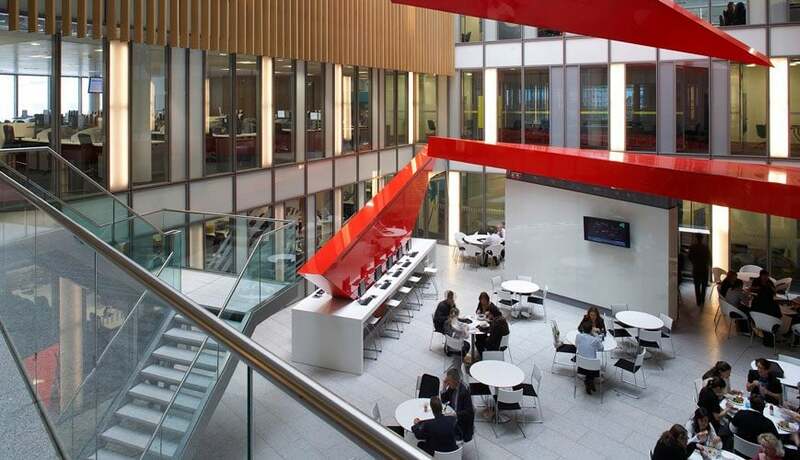 Open plan beam desking creates structured but flexible space, punctuated with integrated breakout, meeting and resource areas with an emphasis on openness and employee interaction. 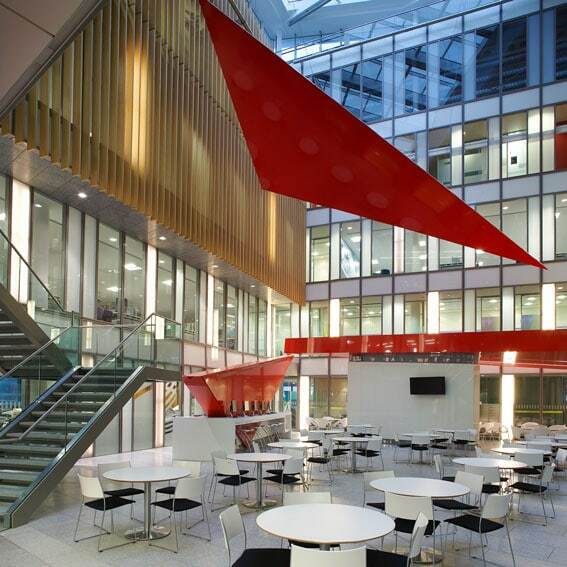 The aim is to create an informal, comfortable working environment that support effective flexible working patterns. The project was recently the subject of a front page feature in FX Magazine.